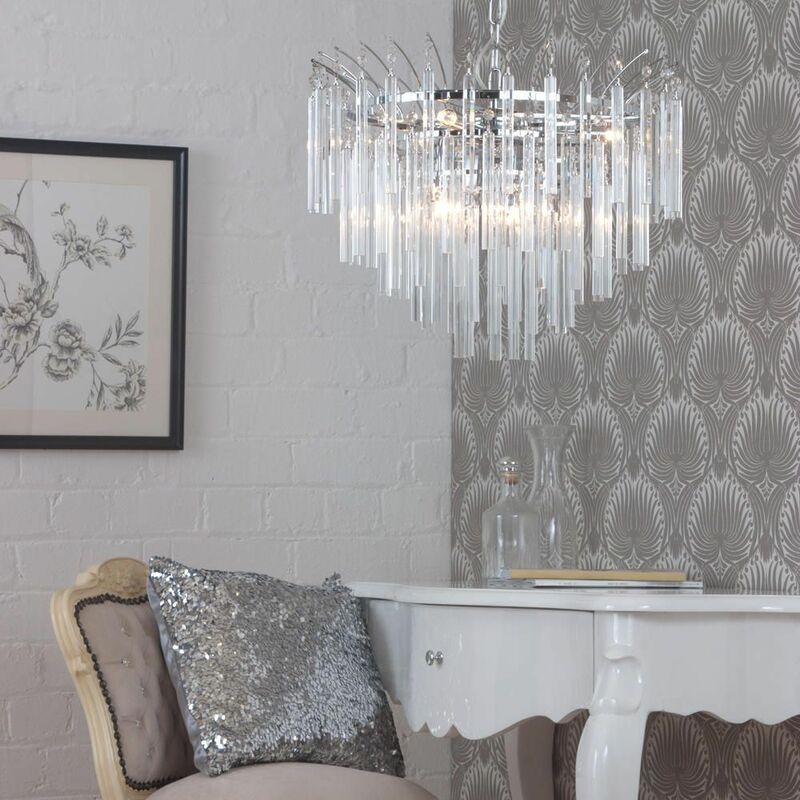 The dazzling Emily chandelier will create a stunning centrepiece in your home. 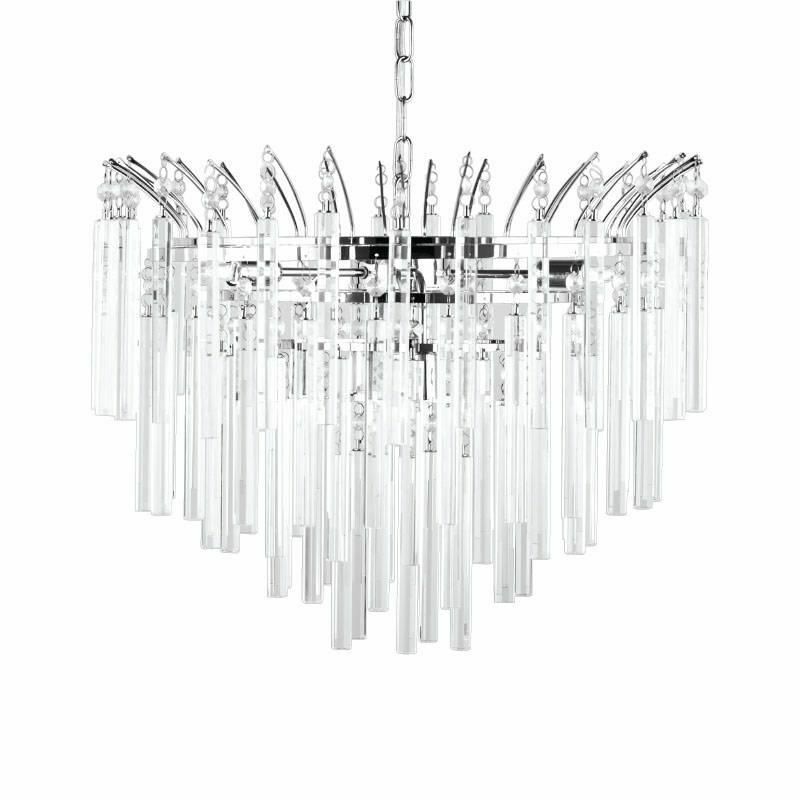 It features cascading crystal effect glass prism bars suspended from a polished chrome chandelier style frame. 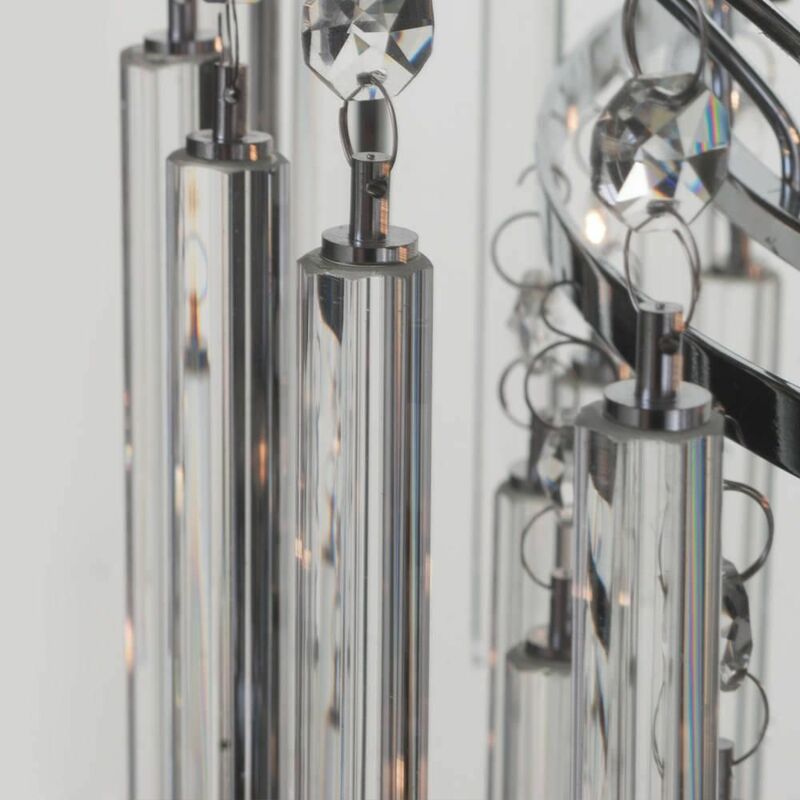 Illuminated with 6 lights, each crystal effect prism bar sparkles and shines for a spectacular effect. 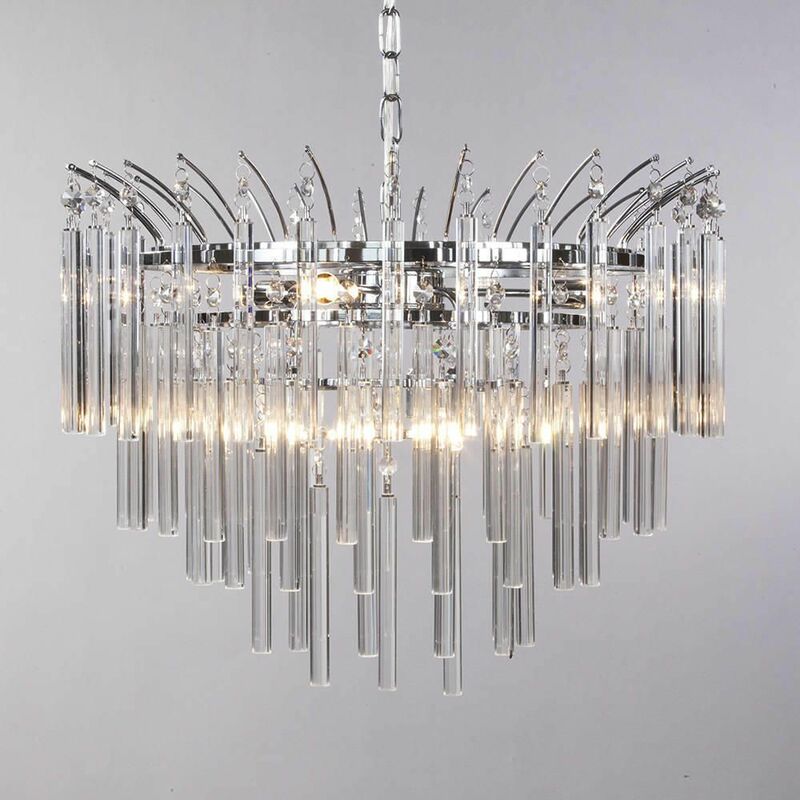 The Emily chandelier ceiling light is perfect for dining rooms, kitchens and bedrooms. 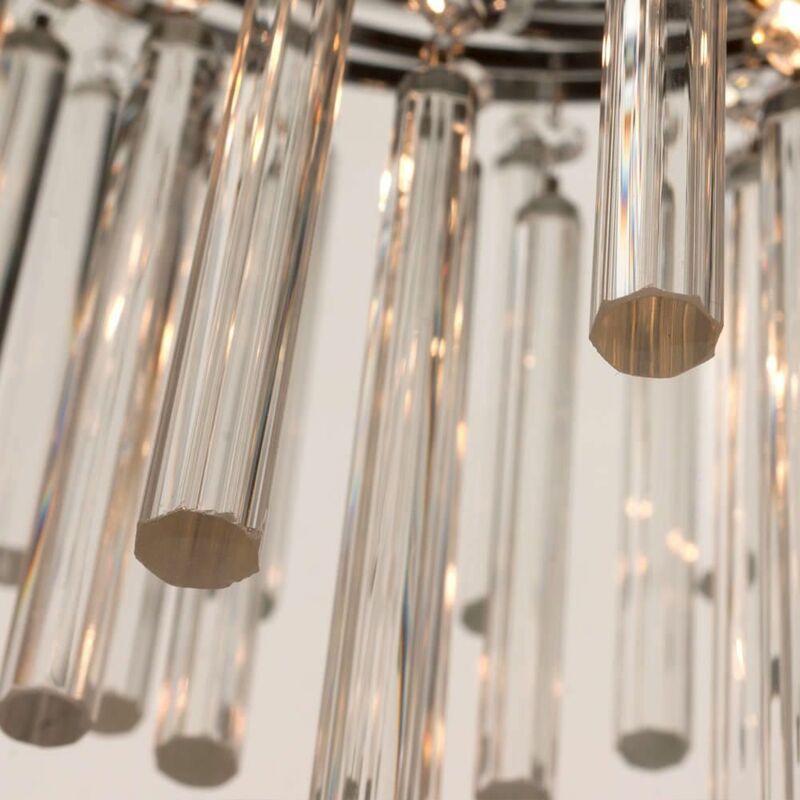 Place it in the centre of a room for maximum impact. 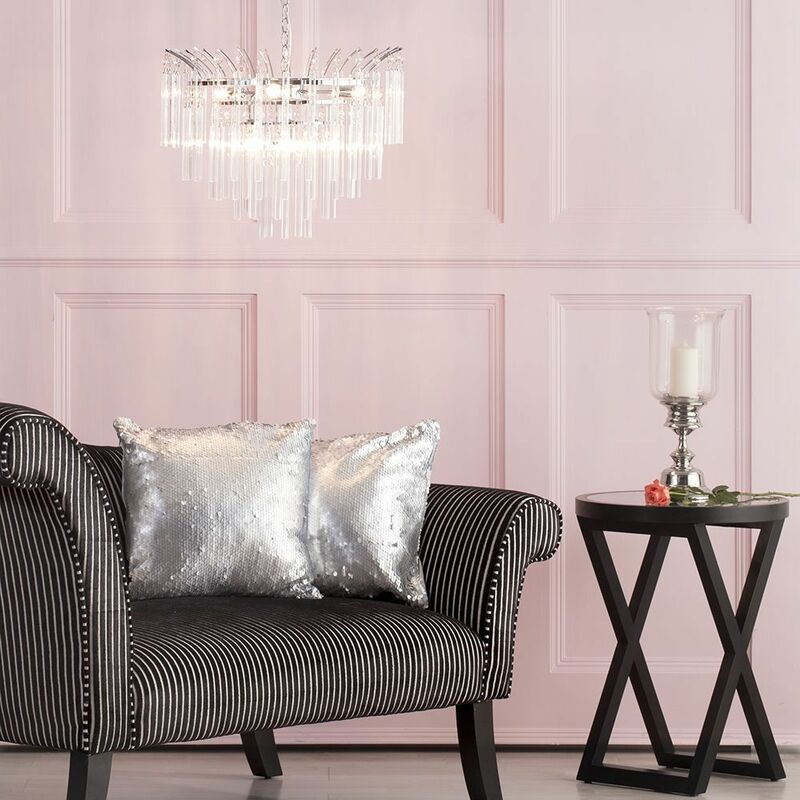 Q: What size is the ceiling rose? 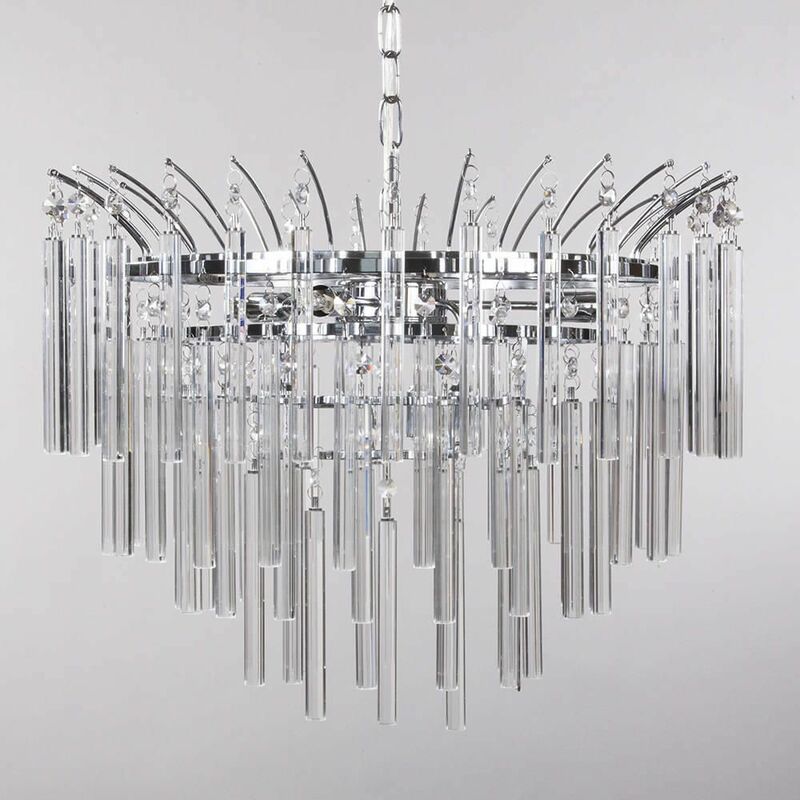 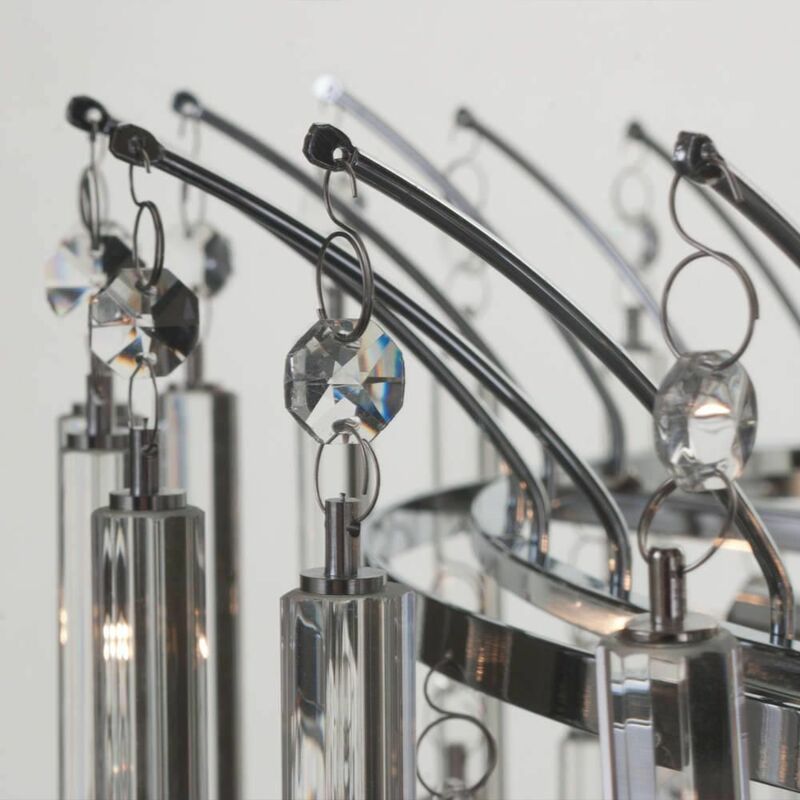 A: The crystal effect prisms on the Emily 6 light prism bar chandelier are glass. 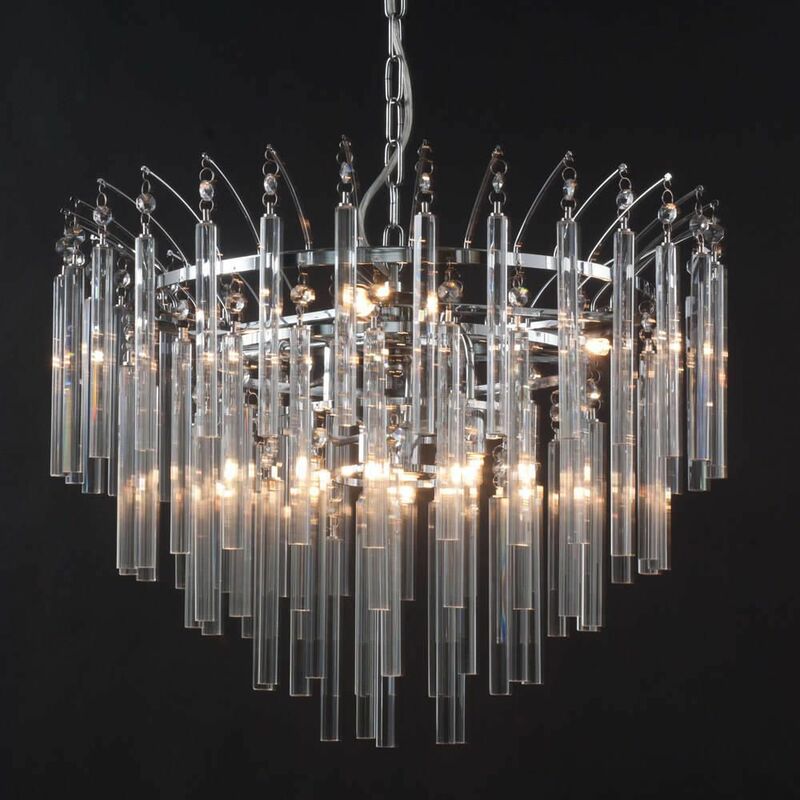 A: Bulbs are not included with the Emily 6 Light Prism Bar Chandelier, however please see the recommended bulbs section for guidance on the most suitable bulb for this item.